If the words “Buick sedan” conjure up an image up a hulking four-door with bench seating and outdated styling, you clearly haven’t been paying attention to what Buick has been doing. 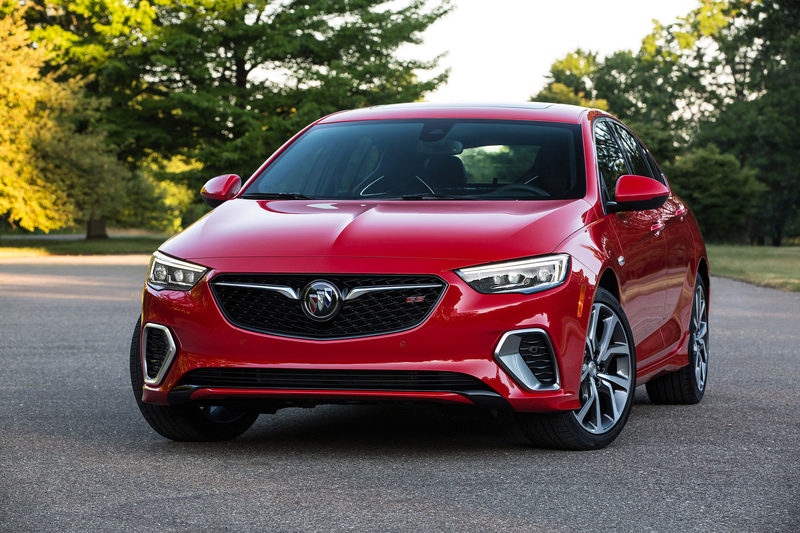 The release of the all-new 2018 Buick Regal GS will forever change your notion of what a Buick is. With an updated and strikingly elegant exterior, luxurious and sporty interior, and plenty of raw power under the hood, the 2018 Buick Regal GS is a game-changer in the sedan category. At the heart of the 2018 Buick Regal GS is an impressive 3.6-liter, naturally aspirated V6 engine generating 310 hp and 282 lb-ft of torque. This is the same engine you’ll find under the hood of the unapologetically muscular Chevrolet Camaro. Pair this with a nine-speed transmission and an active twin-clutch AWD system, and the idea behind the all-new Regal GS is clear: to make a luxury sedan that is an absolute thrill to drive. Inside and out, the 2018 Buick Regal GS exudes luxury and refinement. A restyled front end make for a sleeker, more angular and sporty look than previous models while premium appointments such as heated, ventilated, and bolstered sport seats offer an exhilarating driving experience. With a price tag considerably lower than luxury offerings from competing automakers, the 2018 Buick Regal GS is a standout vehicle. Stop by Rivard Buick GMC to learn more or take a test drive of any of our models. This entry was posted in Buick Regal and tagged 2018 Regal, Buick News, Buick Regal, FL, Florida, Regal GS, Rivard Buick GMC, Rivard Buick GMC Blog, Tampa, Tampa FL. Bookmark the permalink.